Today was a day for patience and waiting: waiting to take my car into the dealership for servicing, waiting in the dealership lounge for a shuttle to take me to work, waiting for meetings to start at work, waiting to hear from the car dealership about what was wrong with my car (and then never hearing and having to call them instead), waiting for a ride back to the dealership, waiting in the lounge for my car to actually be ready, waiting for my dinner take-out. Although it seemed like an insanely long day (got to the car dealership at 6:45am, got home with dinner at 7:15pm), one of the nicer parts of my day was waiting for my take-out at Za’atar Restaurant & Bakery. 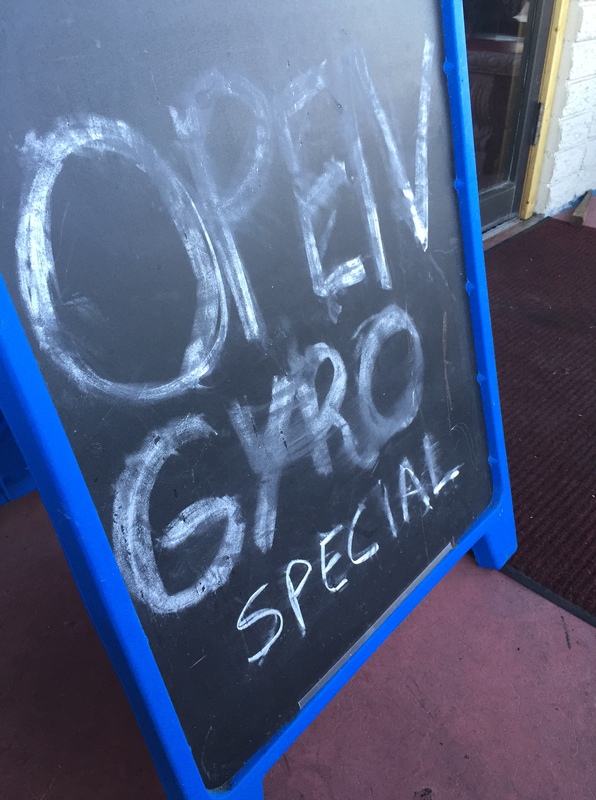 This is a new middle-eastern restaurant in Tucson, and is occupying the spot of what used to be a little Taqueria up the street. It’s pretty tasty, and they’ve even been featured on Tucson Foodie (my go to source for finding new places to eat around town). 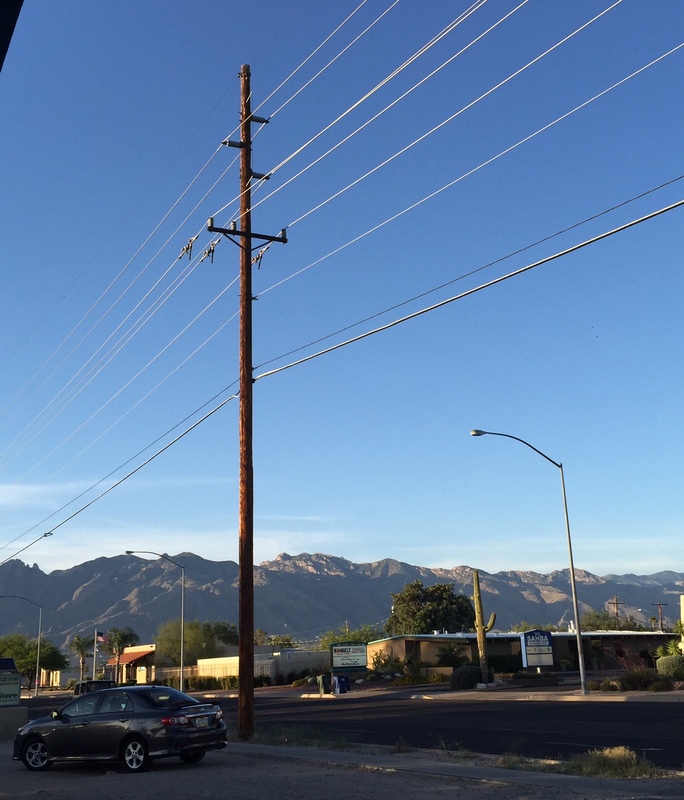 Za’atar has some outdoor seating, so I just sat, waited, and looked at the Catalina Mountains. 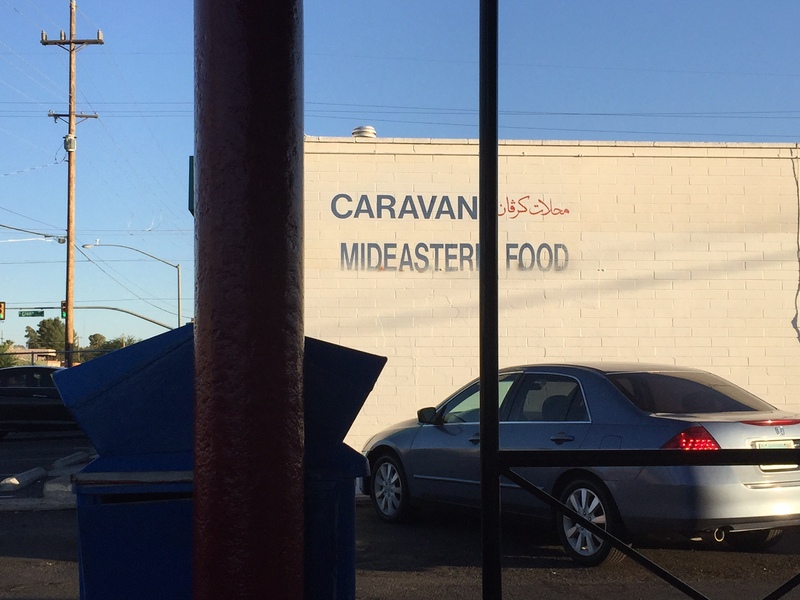 There is a Middle Eastern market next door to the restaurant. I’m guessing they’re owned by the same family since I saw one man running back and forth between the two places.